Today at the IWSG site we have an amazing special guest – award winning author, K.M. Weiland! She’s offering some great words of wisdom, so please stop by. We managed to ride out Hurricane Matthew without any damage and only brief loss of power, but our state was hit hard. Several counties (including ours) received fifteen inches of rain on Saturday and there have been many flood-related deaths. With rivers still rising and dams threatening to burst, not to mention so many without power, we're in a bad way. Please pray. Nope. This is my “DON’T BUY MY BOOK!” Blog Tour. That’s right: don’t buy my book. It won’t hurt … much. I’m an unattractive guy. I’m used to pleading and not getting any … thing. Yes, there’s humor in my Steampunk book. Just because you saw SUPER 8 doesn’t mean you know what STRANGER THINGS will be like … until you see it. This is the wild child of the Steampunk family. Yes! Here be dragons! The savage Germanic breed and the mysterious arcane Celestial Dragons from China. 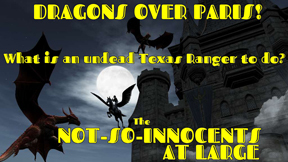 A cursed Texas Ranger sent across the ocean to rescue the kidnapped Princess Victoria. The culprit: High Fae Queen Oyggia of the Sidhe Royal Court. The Rougarou, werewolves of Paris. Worms of the Earth, evolved raptors. Vying Vampire Kingdoms, one ruled by Abigail Adams, the other ruled by Empress Theodora of the Unholy Roman Empire. But sometimes your friends are among your worse enemies, and sometimes you are your worst. 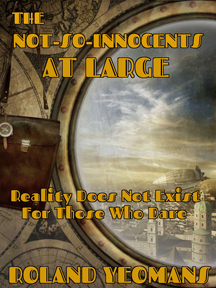 This is a stand-alone book thought it follows my first Steampunk effort. It also has a section for book clubs to discuss the topics I bring up … and a lagniappe short story! How cool is that? What are you waiting for? Buy my book! I know what I named my tour, but you never heard of Reverse Psychology? So far he has written thirty-four books. You can find Roland at his web page or at his private table in Meilori’s. The web page is safer to visit. But if you insist on visiting Meilori’s, bring a friend who runs slower than you. You can also find him on Amazon and Facebook. Based on the true story of the Deepwater Horizon oil rig explosion, causing the worst oil spill in history. Starring Mark Wahlberg, Kurt Russell, and John Malkovich. Director Perter Berg has really come into his own with movies lately. He knows how to take a tragedy such as this and do it right – straight with no overly-dramatic moments, paying due respect to the men who were on that rig. The cast is top notch, Wahlberg is solid as the top electrical engineer and family man. Russell really shines as the general supervisor, his concern for his men genuine. We know what happens, but the mounting tension as systems fail and all hell starts to break loose is effective. The intensity really hits you when the survivors finally reach land. You’ll learn a lot about the event and the daily operations of an oil rig. And you’ll come away with a healthy respect for the men and women brave enough to work on such rigs. Highly recommended – and stay for some of the credits. 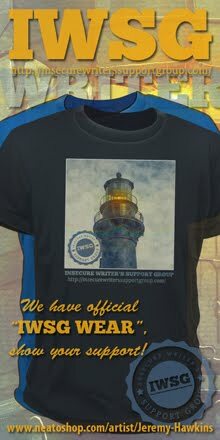 Don’t forget the IWSG Anthology Contest is open – fantasy/hero lost is the genre/theme and the word count is 3000-6000. Chrys Fey is hosting her first blogfest - If I Were a Mobster Blogfest - on October 21. October makes six years that Sylvia Ney has been a part of the blogging community! As a thank-you, she is offering two giveaways. The first is a free copy of Broken Angel to anyone who comments. The second is for anyone who reviews that story – they will be entered to win this cool collection of prizes. See Sylvia’s site for full details. This is the first poetry anthology from the Northern Colorado Writers. Purchase it HERE and use code WXXPC7LH to save $1.00 off the $8.95 cover price. Follower of the awesome K.M. Weiland? Care to meet the werewolves of Paris? (And despite his words, are you picking up Roland’s latest book? It is his birthday you know!) Have you seen Deepwater Horizon? Any news strike your fancy? Can you guess the movies? And is everyone all right after Hurricane Matthew attacked the East Coast? I've picked up Roland's book! :) Love his blog tour title! And nice post on the IWSG. 2. is the show with Sandra Bullock but I can't think of the name, grrr. I didn't know there was a movie out about the oil spill!! I like the idea behind Roland's tour--it's clever. Congrats to Roland and everyone else with new releases! Congrats to Roland! I wished him a Happy Birthday on Facebook. I'm glad you were able to ride out the storm, Alex. I have relatives in W.Palm Beach, and I've been praying for y'all!!!! Weiland is so full of great advice--and so giving of it. She's a wonderful resource. I wished Roland a happy birthday yesterday. Hurricane Matthew was scary and more than expected. So glad you weren't hurt by the hurricane. So so scary when nature takes over. You've got me interested in seeing Deepwater Horizon. With stars Mark Wahlberg, Kurt Russell, and John Malkovich, there will surely be testosterone overload. I appreciate films that recount tragic events without relying on stereotypical characters, trite, melodramatic scenes and excessive orchestra music to steer our emotions in the desired direction. Thanks for the review, good buddy Alex! It was super neat for you to wish me a happy birthday on FB. Like you, I am greatly relieved Alex came through the hurricane all right. I have been hammered by too many of them not to feel empathy for all those affected! Thanks for the birthday wishes yesterday. And a category 4 hurricane is monstrous for sure! Will be praying for those impacted by the hurricane. Thanks for all the info. That's a fun twist to a book blog tour. =) I think Deepwater Horizon looks really good, looking forward to seeing it. I had been following the hurricane's path and there was much destruction. I know your area was hit hard and there is still concern over rising rivers. Nature is a powerful force, wild and untamed. 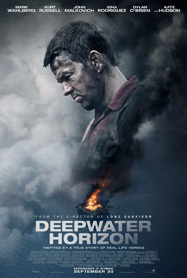 I plan to see Deepwater Horizon, Mark Walberg is one of my favorite actors. Thanks for leaving a review. Hurricane's are such scary things - glad you are OK. I forgot the updated trailer for CassaDawn is wonderful, and Easter came up right after I watched the trailer, much enjoyed this Monday morning. A day off for me! Okay, #2 is The Blindside and #6 is Walk the Line. I've seen #3, but can't remember the name of it - was Johnny Depp in it? We saw the newest Purge movie this weekend and thought it was actually better than the first two. Glad you made it through the hurricane okay, Alex. Scary stuff. haha that is a fun way to go about a blog tour indeed. Lucky me, I'll get to attend the launch party for the poetry anthology edited by Dean Miller, and I know a bunch of the poets who've been published in this collection. Congrats Roland on your book and also wishing you Happy Birthday. Two events simultaneously augurs well for you. Best wishes to those with new releases! I'm thankful that you're safe. My oldest son and his wife live in Charleston, SC. I'm hoping to hear from them today. Thanks. Do you think folks engage in book clubs anymore or has Goodreads replaced them? Thanks. Did you see Hildago? I really enjoyed it, and it remains one of my favorite movies. My prayers are with you for quick recovery and healing! Looking forward to Deepwater Horizon. I'd like to know more about what happened that day and the cast does sound terrific. Good luck to Roland on his attempt at reverse psychology. I'm tempted to go the same route as marketing feels like an uphill battle with a hill the size of Everest. For the movie trivia, I've only seen #6 Hold The Line. Great film. Fifteen inches of rain is insane. Congratulations and happy birthday to Roland! My birthday is tomorrow. It's crazy how fast this year has gone by. I hope everything stays intact and there not more rise to the waters! Congratulations and Happy Birthday to Roland. Rosey, got two! Good job on number three. Shady, no melodrama. The director handled it very well. Truedessa, thanks, and three right. Plus bonus music for you. Madeline, yes - it had Johnny Depp. Pat, all correct. I decided to go with the second star for each film, just to make it a little more challenging. Beverly, I hope you do. LG, all in one day - yes! Glad you are okay- but that sounds like a lot of rain. Sending prayers and good wishes to everyone impacted by the storm. Congrats to Roland!His blog tour is very fun! I wonder if the Werewolves of Paris symbolize anything in our modern age? Paris has certainly been having some concerns in recent years. I never know the answers, Alex, but I keep reading. Thanks for your interesting inspiring posts. Hi Alex - oh ... I'm glad all's well with you and family/friends .. but as you say a really difficult time for many - storms and disasters are just terrible to deal with. I picked up Roland's book ... and I'm enjoying his tour ... and he seems to be enjoying his birthday - lots of places to visit. I new the last one without cheating - Walk the Line. As I saw the comments, realized I'd seen half of them (and own the DVDs). That's funny about don't buy my book...very clever. I'm glad you are ok and are unharmed by the hurricane. I am thinking bOut joining that mobster blog fest. As for the movie trivia..I think I got all but one of them. 1 is Argo 2 I recall the film but don't remember the name. 3 Finding Neverland. 4 October Sky...great movie! 5 Hidalgo...love that movie. 6. walk the Line...just rewatched it. Don't Buy My Book Tour? Clever! Wow, Alex, I didn't realize you had fifteen inches. We were much luckier here. Some serious rain, but nothing dangerous. I trust that's the end of it and that the rivers will recede quickly. I actually know three of the movies. I am praying for all those hit by Matthew. They really didn't know what that storm was going to do. Another cool book trailer. Happy birthday to Roland! Let's hope that reverse psychology works because the book sounds like loads of fun. I'm hoping the best for everyone affected by Matthew. Glad to hear you're okay, Alex. Its amazing the Werewolves of Paris written in 1933 is still on for sale. The author Guy Endore is gone but well remembered still for his book. I have to congratulate him for that even if it is too late. Still on with the living I'll visiting later, kapla! So glad you're safe and had no property damage. That is so much rain to get. I was worried for my mom too as she's near Fort Lauderdale. Thankfully she was okay too. Glad you weathered the storm, Alex. So sad there was so much destruction. Congrats to Roland on his unique book tour and a belated Happy Birthday. Congrats to everyone with new releases too. I followed the progress of that beastly storm. Glad you were safe, but like Mason above me, feel terrible about the devastation. I've joined Chrys' hop because it looked like fun. Alex - I'm so glad Hurricane Matthew didn't adversely affect you. We were fortunate as well. Sadly, that isn't the case for so many people. I'm keeping all of those affected in my thoughts and prayers. Stacy, tougher when you only get a couple clues, isn't it? Joanne, it was a wicked and unpredictable storm. Birgit, you got almost all of them. Sandra, we were just in a really heavy band of the hurricane. I'm glad to hear you came through the hurricane safely. I can't imagine what living in a hurricane-prone region is like. During one of my visits to my favorite aunt on the Gulf Coast of Florida, we went through Tropical Storm Alberto, but no hurricanes. We sometimes get heavy winds and rain in Upstate NY during hurricanes, but nothing like people in the south experience. Probably the worst hurricane we've had up north was Hurricane Bob in '91, which really did a number on Cape Cod. When my family went there for our annual vacation, there was still a lot of damage, and we didn't immediately have power or water in our hotel. Glad to hear you all made it through the hurricane. I hope things can get back to normal for everyone soon. Sorry but when I see a headline saying 'don't buy my book'...I um...just don't. Nice post though. So sorry about all the flooding and deaths Alex. Will pray. I'm in exhausted mode again and just want some shut eye. Bad time for trivia but at least I got one. 6. Walk the Line. Roland's "Don't Buy My Book" blog tour is unique. Deepwater Horizon does look like a good movie. Glad to hear you're safe. That kind of destruction just doesn't even register with us landlocked west coasters, since we don't ever see anything like that. In other words, I couldn't even imagine what it's like to go through that. I've not heard of Deepwater Horizon until now, because I live under a rock and it doesn't even take a natural disaster for me to hide out in my house like a bunker, but I might have to give it a watch. Sounds pretty interesting. Happy Early birthday! And yes, the year has gone by at warp speed, hasn't it? Thanks! I tried to make my tour fun so that folks might think if I can make a guest post fun, then, my new book might be fun as well! Life is too short not to try and enjoy each new day, right? I try to be unusual in my titles to be kind to my friends! Sadly, I am getting what I asked for so far! Ouch! Not so clever, huh? Thanks! I'm looking forward to being on your blog the 27th of this month. That's very nice of you to say! I, too, have joined Chrys' bloghop: Samuel McCord, Texas Ranger ... and pimp! I'm glad you liked my title! :-) I joined your blogfest as I wrote to Lee. I look forward to ending my tour on your blog on November 11th! Thanks for you and so many others being my friends. I look forward to read CassaDawn. The Don't Buy My Book Blog Tour is a clever idea. Congratulations to Roland! He's a good one through and through. I'm sorry and concerned to hear about Matthew's damage. Will send prayers and healing thoughts. Keep safe and take good care, Alex. I'm glad to hear that you and your wife came through Matthew okay, Alex. The loss of life and property caused by this storm is tragic. Congrats to Roland on his book. I've never read steampunk, but it sounds intriguing and fun! I can't wait to see Deep Water Horizon, from a personal and professional point of view. I've been working on my entry for the IWSG. I've got my plot holes worked, and now I'm onto the fun part of editing, and the not so fun part of getting down to 6,000 words! LOL Have a great week! Prayers underway. I'm sorry you were hit so hard. My heart goes out to all those hit by Matthew. And congratulations (and thanks) to all those with new releases. Yeah, I'm not going to see that in the theater. Maybe I'll rent it. Had to buy Roland's book, love steampunk and that name helps. Thanks for all the news, Alex. And especially for the movie reviews. My hubby and I go into the city twice a month on your recommendations. Makes choosing a flick much easier. I was so worried about my friends in Florida. It was just so destructive. I'm glad it's over with. I'm not really interested in seeing Deepwater Horizon. It just doesn't do it for me. Oh gosh--so glad to hear you're okay. I have no idea where most of my blogging buddies live, but I'm sure there are many who are affected by this in some way. Our home flooded in 2010, so I know how evil those flood waters can be. Definitely praying for y'all. Wow, I don't know any of those movies! So relieved to hear you didn't sustain damage from the hurricane. The effects elsewhere are so sad. My sis lives near Hilton Head and I've seen some awful photos. Dis someone mention Stranger Things? Now what a show that is!! We lost power for about 20 hours but were otherwise unharmed. We were blessed. Deepwater Horizon sound like a good movie that would be hard for me to watch. Probably streaming for me. I have no idea what the John Goodman movie is. Carrie-Anne, pray you never experience it. Fundy, I know you can get it ready in time! Jennifer, I feel for your sister. Your comment made my day. I am relieved Alex and his wife made it through Matthew all right, too! Give mine a 99 cent gamble. Mark Twain will make you laugh at least! LOL about our first names! I hope you enjoy it! Wasn't STRANGER THINGS an awesome series? Thanks for liking the idea of my tour title! I've weathered through three hurricanes in my life and hope to never see another. Probably not likely in Nevada. Must get over to Roland's place and 'not' buy his book. Febverishly working on my anthology submission. I think I know some of the trivia. YAY! Well, that's at lest half. If they are all correct. I swear I know so many writers who are down in Florida or in the area that got hit by the hurricane. Kept tweeting people and making sure they were okay. Sending good thoughts your way too. Good luck with the blog tour, Roland. The book sounds great. Roland is always so entertaining. :) Who could help but support him? Congrats and good luck to everyone with book launches this month. Thanks! Take a look at the free sample on its Amazon page. You may like what you read. What a nice thing to say! I am looking forward to stopping by your blo on the 25th!! I was happy to buy Roland's Not So Innocents book and I'm looking foward to reading it. I'm praying for you and your neighbors, Alex. I hope everyone recovers. Praying for everyone affected by the hurricane. Hmm, that Deepwater Horizon sounds good. K.M. Weiland's post was really an eye-opener! Great stuff! When it comes to blog tour style/originality, Roland Yeomans is tops! 'Don't buy my book' is certainly a different approach! 4 – Coal mining, Laura Dern, Sputnik – 1999: ? I was lucky to win the audio version of Roland's book. So pleased his blog tour is being well received. He deserves success! My thoughts are with all those affected by the terrible storm. Have a great week. I am glad you are safe from the hurricane. What a scary event it must have been. As for the book, yes I think the reverse psychology worked on me, I will be buying the book. As for the trivia, I think I know half of them. Will let you know next week. Hope the cleanup goes smoothly, and prayers to those impacted by the flooding. I'm glad to read you are safe after the hurricane but that must have been so frightening. Heartbreaking to read of the lives lost and all the damage sustained. For once I know a few of the trivia questions, or at least I think so! Glad to hear you and family are safe! Horrible and heartwrenching to read about the damage/casualties. Sending lots of good thoughts your way and for others affected. I managed to download Roland's book on my recent trip back to India (talk about dark clouds having silver linings!) and like what I've read so far...and the book tour title is neat! Congrats and best wishes to him! God had mercy on many of us who experienced Matthew. Faraway, you got three! And if you get a hurricane in Nevada then I think it's a sign of the apocalypse. Fran, you got five right. Julie, it's never fun, And you got four right. I'm glad to hear you're doing all right. I've been seeing some of the damage Hurrican Matthew left. It's just horrible. Glad to hear about Deepwater. I've been wondering about it. And speaking of which.....are the rivers receding at all? I watched the local news (I'm a CNN girl) after reading your blog and it was scary. Congrats, Roland! And I'm glad to hear Deepwater Horizon isn't bad. Maybe I'll get a chance to see it. It was a bad storm, so sorry for those effected. I went to see Deepwater Horizon last week. I learnt a lot and would recommend. First Alex, pleased to know yu and family are safe with your awful weather. Another Great post full of news and views. I am looking forward to Chrys Blogfest. Good to see you here. I hope you enjoy the audio book! Thanks so much for buying my book!! Thankfully, we were all in Texas throughout the hurricane. That doesn't mean nobody got wrecked, though. Re Deepwater Horizon, I heard the music before I heard about the movie. Love the music. Hey Alex! Thanks again for the shout-out for Sunrise Summits. NCW is proud of our members/writers/poets and this anthology is long over due. I've been on the road and also down with an illness so I'm late getting here to visit. Congrats on the new books coming out. You are an inspiration to many! I will hold your state in my thoughts and prayers, Alex. Our state was hit hard too. It's heartbreaking to see the damage. Our family is blessed. We lost power for 30+ hours but the water never made it into our home. My neighbors weren't so fortunate. I don't think I've felt so helpless not knowing how I can help them other than to bring food and offer hugs. Just horrible. Yay! Awesomeness and cheese here today. I love the concepts all meshed in Roland's new release. Epicness indeed. That trailer has is very visually appealing. Now I'm off to congratulate some of the others with book releases, etc. How did you survive the hurricane? We got some wind and rain, but not much else. Went out to the coast to help clean up, and it was kinda crazy. Roland's story sounds like a fun read. I'll have to check it out. Sandra, some are while some just crested and will remain high for a while. Suzanne, the movie was an eye-opener. Elsie, there's so little you can do against rising water. Glad you and yours weren't flooded. Crystal, we were fine, but so much of our state is still flooded. I've read a book or two by Roland and followed his intense blogs. Fabulous and filled with deep, dark imagery and emotional writing. I need light and airy right now, but that is just me. I have a son trying to move back to NY from Raleigh and I imagine he'said feeling the wrath of Matthew. Haven't heard much. Praying for all. Hey Alex, it's great to see Roland all over the blogosphere, isn't it? I hope everyone refuses to take his advice and goes and buys his book/s. And thanks for the WEP shout out last week! Glad you're safe, and hope it remains that way! Congrats to Roland and the other releases this week. Congrats to Roland, S.A., and Dean. Glad you're okay after the hurricane. We just got a lot of wind and a little rain. The coast was hit much harder (Savannah, GA). Thanks for the congrats to me and the other dreamers. It's nice to see friends happy for me like you. I am currently hard at work for my post of the WEP. I hope others take your advise to ignore mine! I wanted to at least folks laugh when they see my blog tour show up! Try the CHECK INSIDE feature on its book page on Amazon. I'm betting you will like what you read. I tried to make my book as entertaining as possible. Thanks for having me on your blog yesterday. Hey, everyone! Come visit Crystal and me at her blog! For some reason, your blog was down yesterday (when I finally crawled out of my hidey hole *cough, cough* and rejoined the world. Glad I can access it today. So sorry about Hurricane Matthew. Sending good thoughts. Roland's book does look interesting. I agree, Alex. Deepwater Horizon is a solid movie. Deepwater Horizon sounds great but why hadn't I heard of it already, especially with that cast? Bonkas! Yes, I'm a fan of K. M. Weiland - how could I not be? She's like this super friendly word wizard who knows everything about the craft and offers super engaging lessons! Congrats to those celebrating! I really wanted to submit something for this anthology, and intended to because I missed the last one. But now I'm at university the workload is piling up. Sigh. I left my condo in Myrtle Beach right before the hurricane hit. I did not want to meet Matthew up close and personal! Glad you and so many others have weathered the storm! Praying for the water to evaporate quickly! I'll watch Deepwater Horizon when it comes out on video because of your review! Don't buy your book. Is that anything like Richard Pryor's vote for None of the Above? Or something like that? Congrats to Roland, and definitely keeping you in my prayers! Kim is brilliant, and I learn so much from her blog. I read and commented on her article on IWSG! Congrats on CassaDawn! Congrats to Sherri and Dean! I'm so glad you and your family are safe. Living through Katrina has given me a new appreciation for the floods that come after the hurricane. Congrats to Roland and all of the authors you spotlighted. I guess I haven't read Roland's bio in a while, but it is hillarious and spot on about the different ways to pronounce simple sounding last names. I got a kick out of reading it. I can only guess two of the movies off the top of my head: Argo and Walk the Line. Deepwater Horizon is one that we want to see. Good actors, writers, and true life. Sadly true. Steampunk AND dragons? Two of my fave things! Luckily Hurricane Matthews avoided me this time... we got hit directly by Hermine, so I'm hurricaned out for the year. Glad that you were safe during the hurricane. Sending prayers for everyone. Wished Roland on Facebook. He is a great guy! Glad you weren't seriously impacted by the hurricane. Sending prayers and thoughts for recovery to those who were. Congrats to all the new releases! Roland's book sounds epic. Wow, I don't know any of those movies. Guess I need to watch more. Off to visit the IWSG site! Hope your weekend has been wondrous. No clue about any of those movies - only one sounds vaguely familiar, and I still have no idea. >_< Hope everyone's all right after the hurricane, I haven't heard much about it since the initial warnings. "Don't buy my book!" reminds me of "The Monster at the End of this Book"--which we all know is one of the greatest Little Golden Books of all time. Praying for everyone who felt the wrath of the hurricane! Glad the damage is manageable, but natural disasters seem to ignore human efforts to control the power. Hope all stays well in your state and the others which were affected. Thanks for visiting Roland's tour stop at my blog! That trailer is awesome Alex! I can't wait for release day! Congrats!